The moderate climate and majestic western landscapes of New Mexico make it an enchanting locale for the motion picture industry. Thomas A. Edison's crew shot the very first film in the state at the Isleta Indian Pueblo in 1897. Silent-era icons like directors Romaine Fielding and Tom Mix shortly followed to take over the small town of Las Vegas, setting the stage for an explosion of western movies. Today, New Mexico's generous incentive programs and quality facilities make it one of the top filming destinations in the country, attracting big projects like the Academy Award-winning No Country for Old Men and AMC's critically acclaimed television series Breaking Bad. 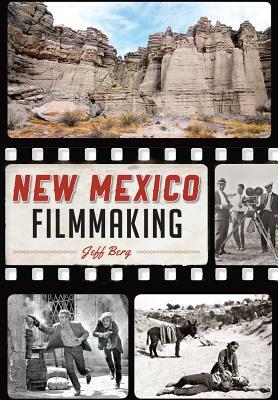 In this comprehensive volume, local author and film historian Jeff Berg explores the history and legacy of New Mexico on the big screen.